I was working in dead end jobs and a full time carer before SWAP, poverty line surviving! I returned to study for self-improvement, to increase my prospects and to study physics at university. The SWAP programme has been excellent, a real challenge, but the benefits are becoming apparent as we reach the end of the year. In the future, I would like to work at CERN or do research in the astronomy field. I finished my secondary school in Ghana and went into employment as an apprentice mechanical engineer. I joined my parents in Scotland to better my prospects. Whilst looking at college prospectuses, I found the SWAP Access to STEM course and applied. I thought it was going to be very difficult with me being out of education for so long, but with great teaching and my own efforts, I have been able to achieve the best of results. My dream is to become an offshore/ocean engineer and the degree I have accepted will lead me to my future career. Shanice Diamond – Aeronautical Engineering at the University of Glasgow I returned to Scotland with my family from Liverpool and wanted to pursue my goal of becoming an aeronautical engineer. The SWAP programme provided me with a way to apply for this degree. The SWAP programme has been fantastic, but hard work! You have to be dedicated to succeed. I’m looking forward to studying at university now and I would like to work abroad, maybe Dubai, and become an aeronautical engineer. Lewis Cowan – Engineering Academy at the University of Strathclyde Before SWAP, I worked in low paid jobs, which were not the least bit challenging. I wanted to work towards a better career and the STEM programme seemed like a great way forward. It has not been easy, especially balancing study with work and finding time to spend at home. I would however recommend the course to anybody. The challenge has been immense, but very rewarding. I will now attend the Strathclyde Engineering Academy and will be excited to proceed to university to complete an engineering degree. Heather Boyd – Marine Biology at the University of Stirling I enrolled on the SWAP STEM programme as I wanted to find a way as an adult to study marine biology at university. Within the year, I had received offers from all of the marine biology courses that I applied for. The programme has been challenging, but extremely gratifying. We worked together well. I look forward to studying my degree of choice and possibly travelling around the world to do marine biology research. I worked as a full-time social care worker with young people before SWAP. I wanted to find work in the engineering sector and so applied for Access to STEM. 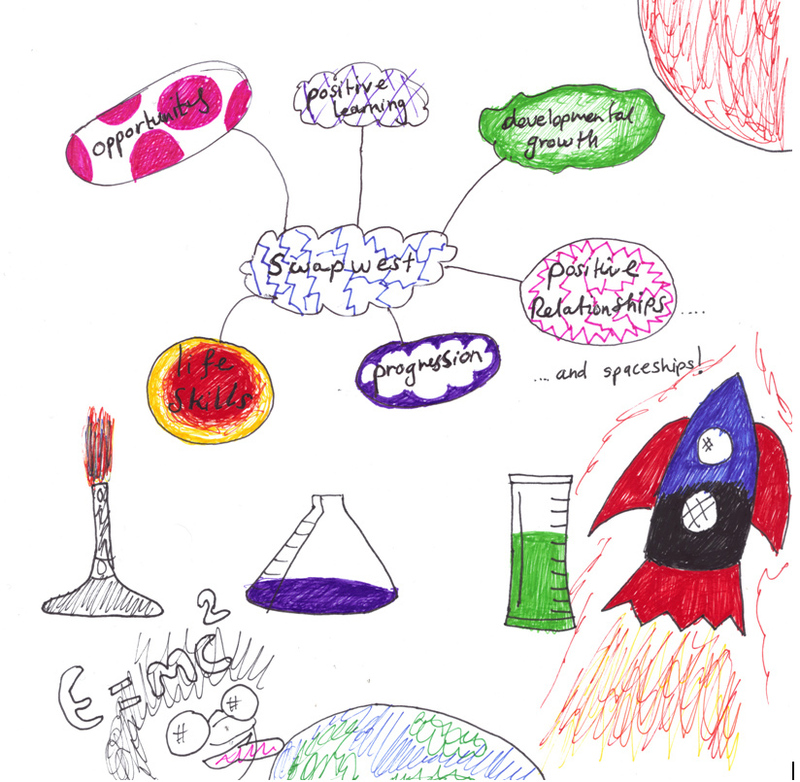 My experience with SWAP has been life-changing and it has improved my confidence and abilities in science and maths. My long term plans are to complete my degree in aeronautical engineering and gain sponsorship in a pilot training programme. After the property market crash, I had to find a different career and got stuck in a dead end cleaning job for some years but then decided to return to education to get more from life. The SWAP experience was overall very good and enabled me to get into the engineering academy at Strathclyde. After the academy, I hope to study aerospace engineering and find work with an aerospace company. I started SWAP as I wanted to apply for university and did not have the entrance qualifications. I had a really great time during the SWAP programme and worked hard to pass my units well. SWAP gives people who have been out of education a fantastic opportunity to access degrees. I applied to the SWAP STEM programme as I thought it was a great opportunity. A year as a SWAP student has been wonderful and challenging. I have received support when needed and this made this year much easier. Managing time has been quite challenging, but through these challenges I now feel capable and prepared for further studies at university. 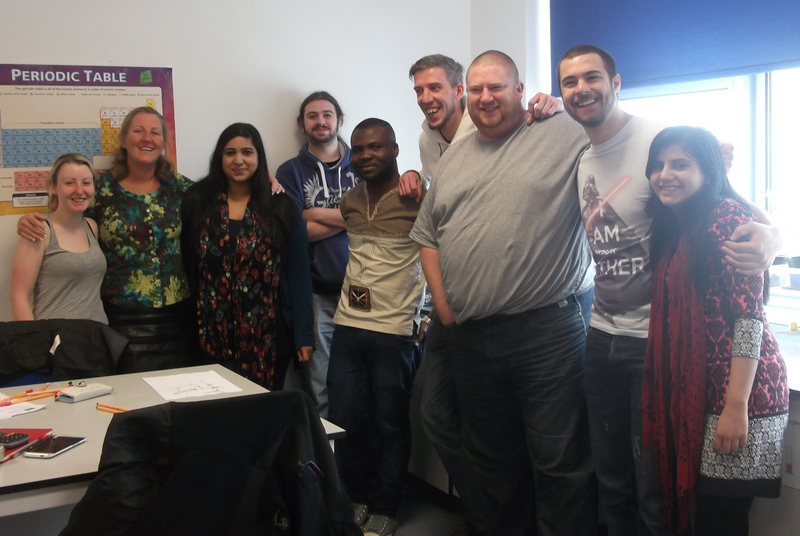 ”Our physics lecturer (Marie) was so positive and enthusiastic; the way she taught really made us enjoy the subject. “Although enjoyable it’s definitely challenging; there’s a lot of work involved so it’s inevitable that you need to put the work in. As a class we work so well together; we’re all here to achieve our goals and all rooting for each other to do well which makes for a great learning environment. We’ve all got so much respect for the lecturers and when you have this it makes you not only want to do well for yourself but for them too.